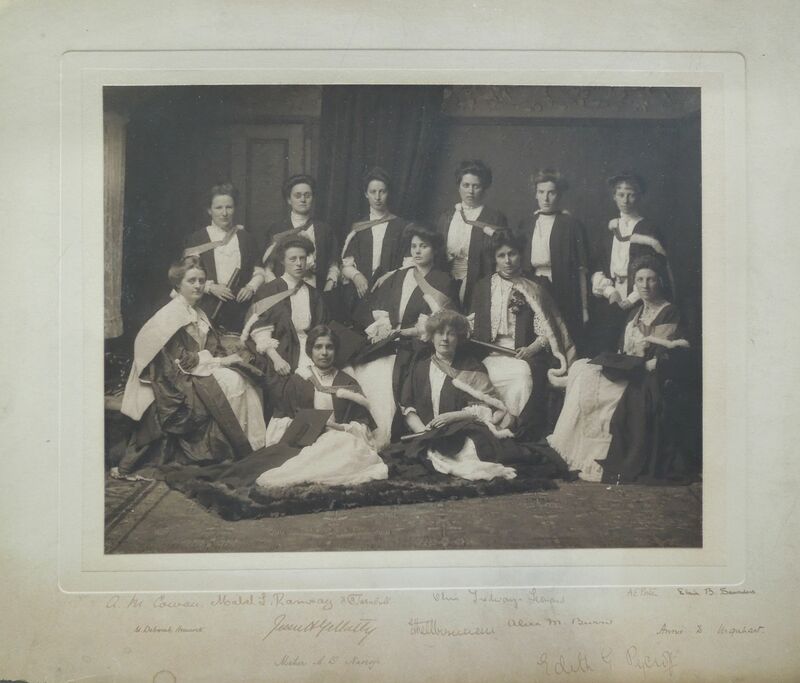 One of our earliest group photographs of female medical graduates depicts the MBChB class of 1906. It shows 13 women and bears their signatures. There was a further female MBChB graduate that year; Isabel HILL, Scotland, graduated in absentia. * The signature for the student front row, furthest left, is given as M. Deborah Hancock (it may say Harcourt). However no student of that name graduated. The remaining student who whose name appears in the list of graduates is Marjorie Duake Cohen. Her graduation record notes this as being her married name and has her also as Miss Averyl Harcourt. Some online research has located a reference in the London Gazette, 31 Jan. 1930, to a Mrs Simha Duake Cohen, otherwise Marjorie Averyl Harcourt, who died in 1929. It also refers to an Anthony Dowling, aka Vernon Harcourt. The precise circumstances of name changes have not been determined but it does look likely that the remaining graduate in the photograph is Mrs. Duake Cohen. Why her hood is a different colour to the others has not (yet) been determined. The woman in the photograph is now thought to be Mary Deborah Hancock. Although not a MBChB graduate (which would account for her different hood), this is clearly a perfect match with the signature. Further research into Marjorie Duake Cohen continues and, if sufficient information comes to light, she may feature in a future blog post. 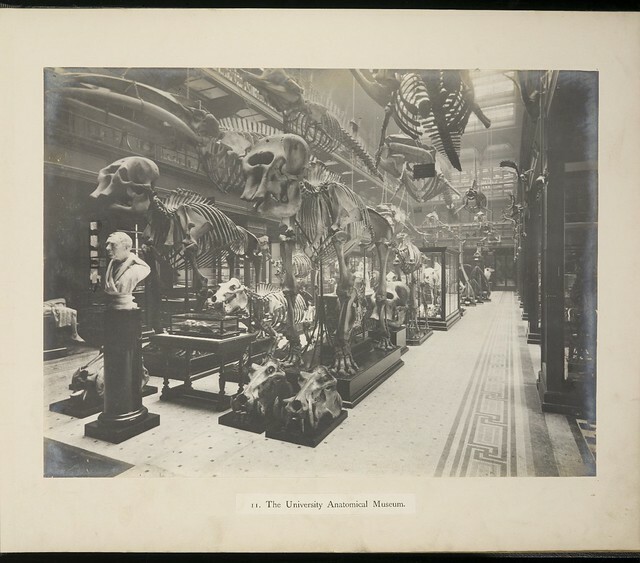 This entry was posted in alumni, Collections, women on 12/11/2013 by Archivists.